As part of its reporting from the Bonn Climate Change Conference that opened at the Maritim Hotel in Bonn, Germany, on 3 June 2013, the International Institute for Sustainable Development Reporting Services (IISD RS) has launched "ENB Video: In the Corridors." 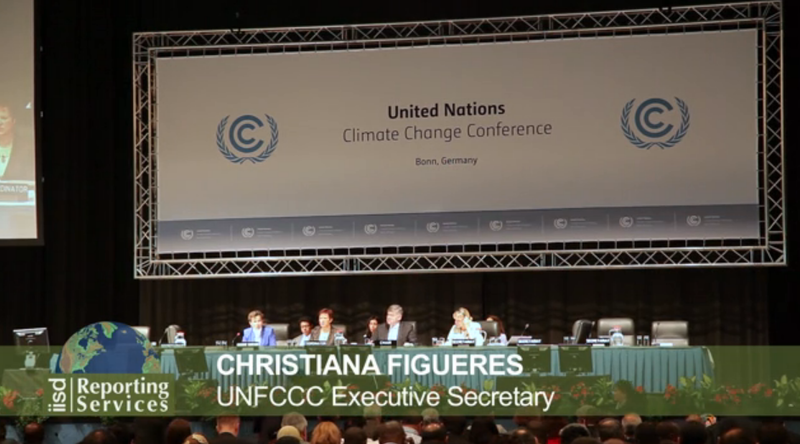 The Bonn Climate Change Conference will continue until 14 June 2013. The meeting comprises the 38th sessions of the Subsidiary Body for Implementation (SBI 38) and Subsidiary Body for Scientific and Technological Advice (SBSTA 38), as well as the resumed second session of the Ad Hoc Working Group on the Durban Platform for Enhanced Action (ADP 2-2).